Thomas B. Cueni is Director General of IFPMA since 1 February 2017. Prior to joining IFPMA he was Secretary General of Interpharma, the association of pharmaceutical research companies in Switzerland. For many years Thomas Cueni has been involved in the work of the European Federation of Pharmaceutical Industries and Associations, EFPIA, where he most recently served as Vice-Chair of the European Markets Committee and association representative on the Board. He represented the industry on the EU High Level Pharmaceutical Forum, was Chairman of EFPIA’s Economic and Social Policy Committee and Chairman of the EFPIA Task Force on the EU Commission’s Pharmaceutical Sector Inquiry. Thomas Cueni also represented Interpharma, which he successfully transformed from the association of Swiss Rx companies to the association of pharmaceutical research companies in Switzerland, on the Council of IFPMA. Prior to his appointment with Interpharma, Thomas Cueni had a career as a journalist, inter alia as London correspondent for the “Basler Zeitung” and “Der Bund”, and he served as a Swiss career diplomat with postings in Paris (OECD) and Vienna (IAEA, UNIDO). He studied at the University of Basle, the London School of Economics, and the Geneva Graduate Institute for International Studies, and has Master degrees in economics (University of Basel) and politics (London School of Economics, LSE). Fumie Griego is IFPMA’s Deputy Director General and Chief Operating Officer. She joined IFPMA in May 2017 to lead IFPMA’s strategic planning, as well as policy and research for the organization with a focus on health policy and economics topics such as value of medicines, government pricing and reimbursement, and metrics/evaluation. 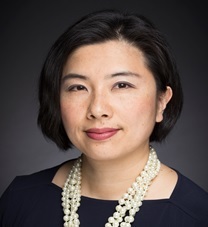 Prior to joining IFPMA, Fumie was Head of Global Oncology Policy and Strategy, Global Government Affairs & Policy at Merck KGaA and Vice President for International Health Policy at Pharmaceutical Research and Manufacturers of America (PhRMA). 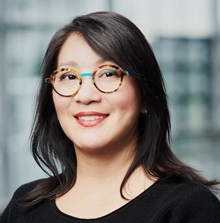 Prior to joining PhRMA, Fumie was as a senior economist in the White House’s Office of Management and Budget where she provided U.S. senior officials in both the Bush and Obama Administrations with policy advice on a range of health policy issues. Fumie holds a PhD in Health Policy from Harvard University and a Bachelor and Master of Science degrees in Earth Systems (concentration in environmental economics and policy) from Stanford University. Greg Perry joined IFPMA on 1st February 2018, and has responsibility for IFPMA’s external outreach and stakeholder engagement in global health topics including innovation, access, and the international regulatory environment. Greg Perry brought with him more than 20 years’ leadership and advocacy experience in the public healthcare arena. 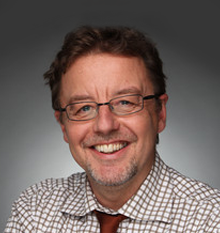 Prior to joining IFPMA, Greg worked as Executive Director of the Medicines Patent Pool, which he joined in 2013 and as Director General of the European Generic Medicines Association (1999 - 2013) in Brussels. Previously he worked as a partner in a UK public affairs company as a European Union policy advisor to corporate and non-governmental organizations, and before that as a Parliamentary Advisor to Members of the European Parliament. 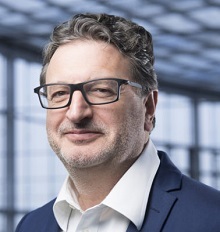 Greg is a Member of the Advisory Council of the Organization for Professionals in Regulatory Affairs (TOPRA) and is a former member of the Standing Advisory Committee before the European Patent Office (SACEPO). Greg also holds the Golden Cross of Merit of the Republic of Poland. 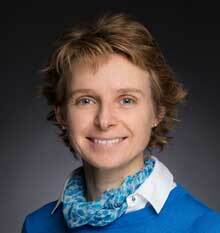 Janis Bernat joined IFPMA in 2006 to work with the Vaccines Committee and Influenza Vaccine Supply Task Force. She is currently responsible for the policy and technical work in the area of biotherapeutic and biosimilar medicines and leads the organization’s regulatory team. Janis holds degrees in agriculture, food science, and mass communications from several US universities. Prior to joining IFPMA, she worked for a US-based multi-national food company in quality assurance and regulatory compliance. 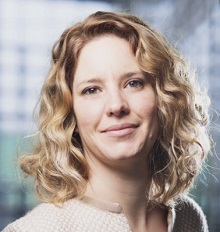 Laetitia Bigger joined IFPMA in 2006 and is responsible for vaccines policy. 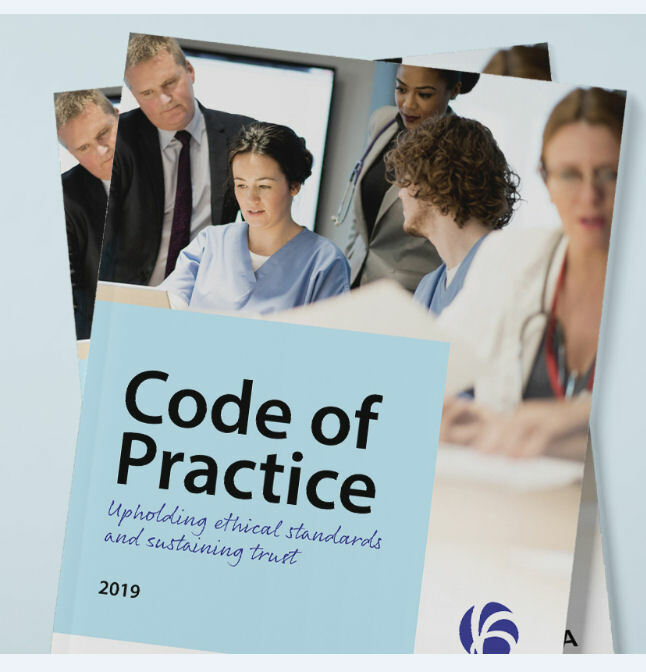 She coordinated IFPMA activities related to anti-doping cooperation, regulatory policy - clinical trial transparency, ethics in medical research and pediatric medicines - and technical standards for innovative medicines, until December 2011. Prior to joining IFPMA, she worked as clinical research associate for the multidisciplinary center on oncology, University Hospital Lausanne. She holds a PhD degree in Biology from the University of Lausanne (Switzerland). Ms Kaleem is the Director of Communications of the IFPMA, she represents the organization externally, enhances engagement with members and provides strategic direction and leadership to the department of communications and public affairs. Ms. Kaleem has more than 20 years’ experience in developing and implementing global positioning, branding and all aspects of communications, public affairs and advocacy strategy as well as donor relations, gender and community development. In her most recent roles at the United Nations Office for Project Services (UNOPS) she launched STOP TB Partnership’s interactive civil society hearing advocacy and communications campaign ahead of the UN High Level Meeting on TB and successfully led the World TB Day’s first ever joint global advocacy and communications campaign with the World Health Organization (WHO). Furthermore, at the Water Supply and Sanitation Collaborative Council (WSSCC), Ms Kaleem provided leadership and guidance on all aspects of corporate communications, bringing partners and local stakeholders together via a focused communications and advocacy strategy. Before taking on these roles with UNOPS, she developed country-specific communications strategies for Nestle Oceania and Equatorial Africa and played a crucial role in stakeholder engagement and enhancing Nestle’s shared value work across supply chains. Other roles include serving as the first female CEO of an international Chamber of Commerce in Asia, and positions with The World Bank, BBC World Service (UK), Dow Jones News Wires, URBANICS Ltd (UK), Pakistan Poverty Alleviation Fund (UK and EU). James Headen Pfitzer joined IFPMA as the Director of the global ‘Access Accelerated – Moving NCD Care Forward’ initiative in September 2017. Prior to joining IFPMA, James spent ten years at the World Health Organization (WHO) Headquarters in Geneva, Switzerland, where he handled strategy, engagement and policy for the Assistant Director Generals of Health Systems and Innovation and Global Health Security. Issues covered by James included AMR, pandemic preparedness, IHR, R&D, innovation, UHC, health systems strengthening, intergovernmental negotiations and consensus building. James also worked to implement capacity building activities at country and community levels and was appointed by the WHO Director General as the health advisor in the UN Secretary General’s Office in New York for the Post-2015 Development Agenda and adoption of the SDGs. Prior to joining WHO, James was a Legal Officer at the WTO in Geneva, Switzerland. James has written publications including analyses of the WTO dispute settlement system and potential reform with focus on burden of proof and standard of proof issues as well as those related to transparency and public participation. 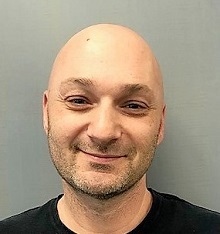 James is an American trained lawyer with an LLM in trade and development and holds a PhD in international law with a focus on due process protections in dispute settlement from the University of Bern, Switzerland. Laurent Renaud joined IFPMA in April 1994. He is responsible for the administration, finances, and human resources. His tasks include the day to day management (book-keeping, account payable), liaison with the Geneva and Swiss administration; including work permit application and renewal process, social security, pension fund and tax issues and all other legal and/or statutory requirements. 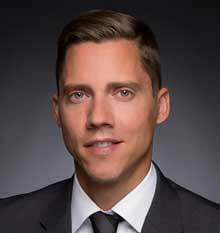 Laurent’s previous positions include senior accounting position in two private hospitals and auditor at Société Fiduciaire Suisse-Coopers & Lybrand (now PWC). Guilherme Cintra joined IFPMA in March 2005 and leads IFPMA’s advocacy with the WTO and the WIPO and runs the IFPMA Socio-Economic Research Network, which conducts international research and analytical work on different subjects relating to intellectual property, pharmaceutical innovation, and access to medicines. 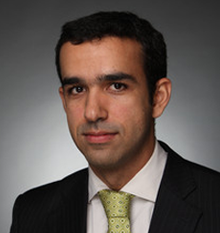 Guilherme holds a master’s and a bachelor’s degree in Economic History from the University of Geneva as well as a bachelor’s in Social Sciences from the Federal University of Minas Gerais, Brazil. Prior to his current position, he was responsible for monitoring industry’s access initiatives in the developing world and provided analytical and administrative support to different groups at IFPMA. He has also worked as European liaison on several carbon credits projects for the Brazilian SME Green Value. Gabi Cruise is the Executive Assistant to the Director General, Thomas Cueni. 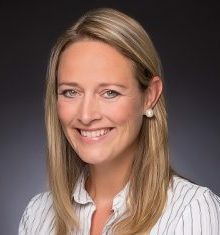 She joined IFPMA in August 2018. Prior to joining IFPMA, Gabi worked with Hoffmann-La Roche AG, OTC Marketing Division and in 1999 transferred to Givaudan International SA, Executive Assistant to Corporate Human Resource and the Chairman of the Board of Directors. Sarah Adam joined the IFPMA in November 2016 and is responsible for leading and coordinating IFPMA activities related to Regulatory Policy and Technical Standards, which includes interactions with key stakeholders and regional organisations involved in pharmaceutical regulatory policy. Sarah worked for the past 8 years as a Manager for the International Council for Harmonisation (ICH), supporting the harmonisation of ICH technical Guidelines and requirements for pharmaceutical product registration. Prior to this, she dedicated over 10 years of research in academia in the field of pulmonary disease preclinical drug testing and vaccine development. Sarah was an appointed lecturer at the School of Pharmacy at the University of Geneva, she holds a PhD degree in Molecular Biology and an Engineering degree in Biotechnology. 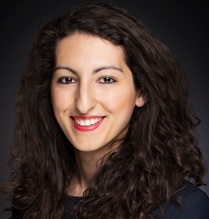 Sara Amini joined IFPMA in July 2018 and leads IFPMA’s engagement with OECD, G7 and G20 on issues related to health policy and biopharmaceutical innovation. Prior to joining IFPMA, Sara worked for the World Intellectual Property Organization where she managed a team dedicated to the development and delivery of cross-functional projects aimed at better serving users of the Madrid System for the International Registration of Trademarks. She has gained extensive experience in IP, innovation and health policy through her work with Government of Canada’s Ministry of Innovation, Science and Economic Development, where she led on legislative policy development initiatives and represented Canada in treaty negotiations in a variety of international fora. Sara is a certified attorney-at-law, with degrees in both civil and common law traditions, as well as a degree in Cell Biology from McGill University. 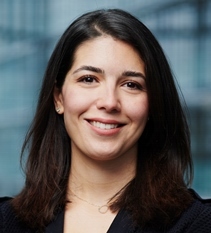 Paula Barbosa joined IFPMA in October 2016 as Vaccines Policy Manager and is responsible for the IFPMA Influenza Vaccine Supply International Task Force, as well as vaccine regulatory and programmatic policy, norms and standards. Paula holds a MSc in Global Health Policy from the London School of Hygiene and Tropical Medicine, and a PharmD in Pharmaceutical Sciences from the University of Porto, Portugal. Prior to joining IFPMA, Paula had worked for GlaxoSmithKline (GSK) Vaccines in different global marketing and commercial roles, and in GSK Rare Diseases Business Unit in a market access function covering the Latin American region. 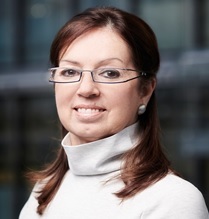 Martina Bilova is Office Coordinator at the IFPMA. She joined IFPMA in November 2007 and leads on organization of strategic meetings and supports committees in its projects. In addition Martina provides executive support to IFPMA DG in coordination with Head of DG Office. Martina holds a bachelor’s degree in Business Administration from the University of Geneva and a diploma in Accounting. Prior to joining IFPMA, Martina worked in administration for trade companies in Slovakia. Sérgio Cavalheiro Filho joined IFPMA in March 2017, focused mostly on supporting IFPMA’s anti-counterfeiting portfolio, namely by engaging with partners from the Fight the Fakes campaign. Since then, he has also worked on issues related to pharmaceutical regulations and global health policy. Currently, Sergio works as an Assistant Manager on Regulatory Affairs at IFPMA. 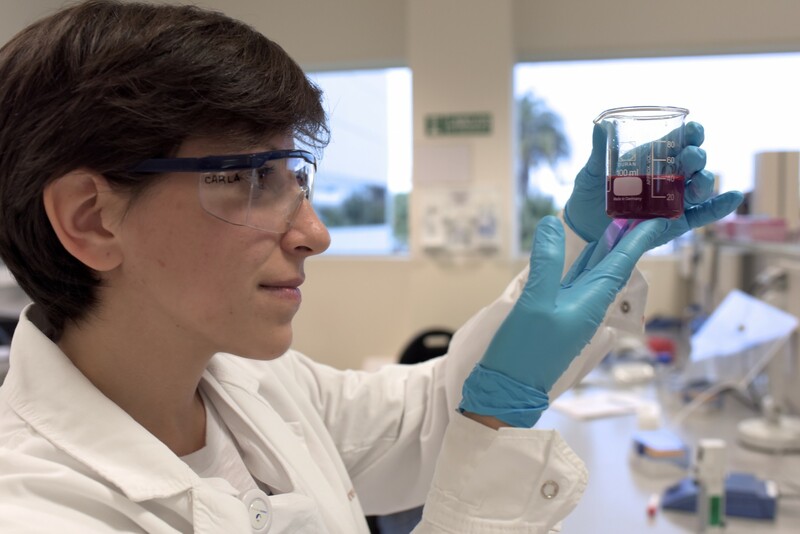 Sérgio holds a Masters in Pharmaceutical Sciences from the University of Coimbra, Portugal. Before joining IFPMA, Sergio built his professional experience working on late-stage drug formulation and development, as well as a community pharmacist in Portugal. 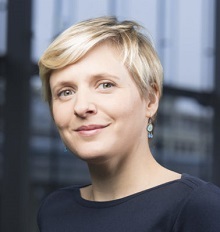 Morgane De Pol joined the IFPMA Communications Team in 2007. She develops and implements communications and public affairs programs that build trust and facilitate dialogue and collaboration between IFPMA and other global health actors. She covers several disciplines, from corporate communications strategy, media interaction and stakeholder engagement through to internal communications and engagement with IFPMA membership. Integrated to the Global Health Policy Team, she generates communications support on issues including innovation and access to treatments for infectious and chronic diseases, quality of medicines, and promotion of resilient and efficient health systems. 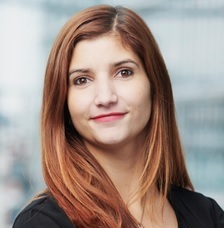 Morgane holds a master’s degree in Languages and Literature from the University of Geneva and a post-graduate degree in Special Events Communication from the Advancia School in Paris. Previously, Morgane worked for MCI, a global communications and event management group, in the Pharma Unit. 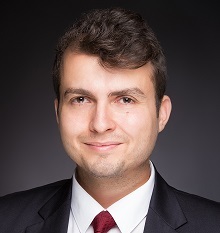 Mümün Gencoglu joined IFPMA in August 2017. He works in regulatory affairs especially related to biotherapeutics. 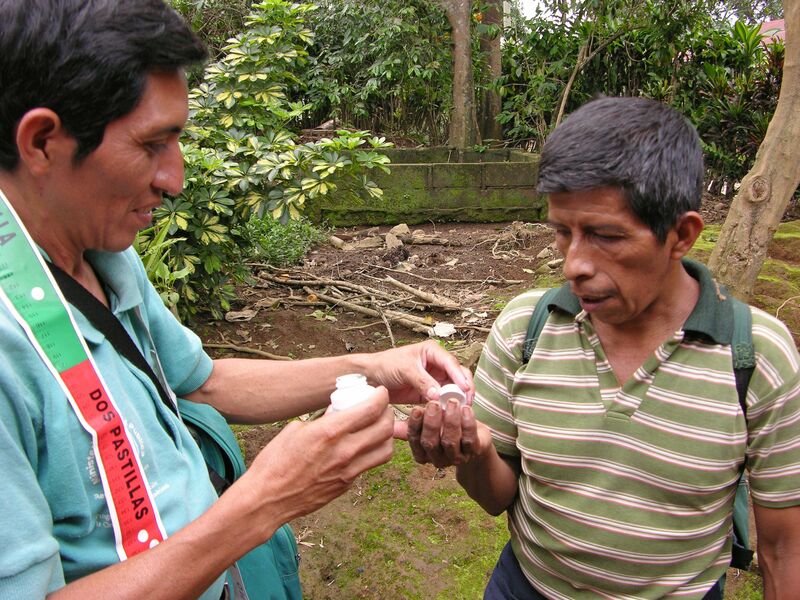 Mümün has also research duties on health economics and policy such as the value of the pharmaceutical research industry. 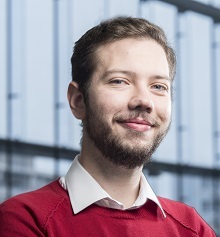 Prior to joining IFPMA, Mümün was a Postdoctoral Research Fellow at University of Basel’s Biozentrum working mainly on biological network dynamics and behaviour. 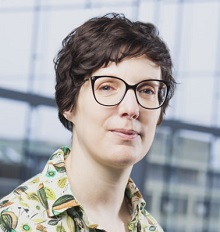 Mümün holds a Ph.D. in Systems Biology and Genetics from University of Basel. Prior to his Ph.D., he completed a Master’s degree in Biology at University of Zurich and a Bachelor’s Degree in Chemical and Bioengineering at Koç University. CCyntia Genolet joined IFPMA in 2012 to work as the responsible for the anti-counterfeiting portfolio. In addition to this role, she leads since 2017 IFPMA engagement in Africa and deals with other Global Health policies. She also worked on policy issues related to biotherapeutic and regulatory domains. Cyntia holds a master’s degree in International Relations from the Graduate Institute of International and Development Studies in Geneva and a master’s of advanced studies in Health Economics and Management from HEC Lausanne. Prior to joining IFPMA, she has worked for Sanofi in the office of relations with the International Institutions, in Geneva. She has built her professional experience working for NGOs, international organizations and governments in Africa, South America and Switzerland. 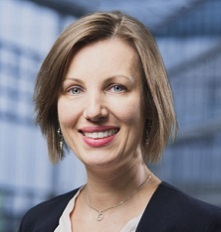 Nina Grundmann joined the IFPMA in June 2012. She leads IFPMA’s work on antimicrobial resistance and head the secretariat of the AMR Industry Alliance which represents more than 100 pharmaceutical companies. 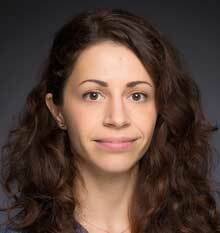 Nina has also worked on vaccine regulatory and programmatic policy and influenza vaccines. 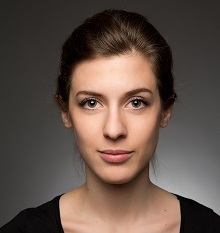 Nina holds a master’s degree in International Affairs from the French Institute of Political Studies and a post-graduate degree in Risk Management from HEC Business School in Paris. Prior to joining IFPMA, Nina worked at Sanofi Pasteur on vaccination policy and advocacy and for the Mérieux Foundation to help enhance research capabilities in developing countries. 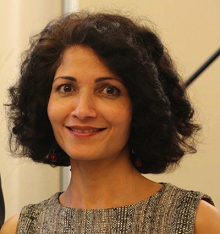 Sadia Kaenzig joined IFPMA in 2014 and is in charge of communications, namely in the areas of biotherapeutic medicines and vaccines, regulatory affairs, innovation, trade, and intellectual property communications. She has an extensive international experience working in communications, advocacy, and public relations. Sadia holds two master's degrees: International Relations from the Graduate Institute of International and Development Studies (Geneva) and Translations from Geneva University. Prior to joining IFPMA, Sadia had worked for the International Red Cross (ICRC and IFRC), Drugs for Neglected Diseases initiative (DNDi) mainly as a communications expert, and for the refugee agency UNHCR as a UN Volunteer. Grega Kumer joined the IFPMA IP and Trade team in September 2016. Grega is responsible for outreach to relevant multilateral organisations with focus on IP issues and leads IFPMA work on biodiversity. In addition Grega provides strategic support to IFPMA DG and handles any outreach activities. Since 2009 Grega has been engaged in multilateral negotiations at WIPO and WTO. Before joining the IFPMA he represented the interests of the UK on all Intellectual Property files across Geneva. 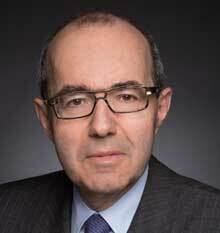 He also served as the Vice-Chairman of the WIPO Advisory Enforcement Committee. Prior to that, he performed the duties of the Slovenian Deputy Permanent Representative to the WTO and the WIPO Regional Coordinator for Central European and Baltic States. He also worked as a Legal Adviser to a start-up company, with a focus on patent and trade mark protection. Grega has studied Law in Slovenia, Spain and the UK and holds a Master’s degree in the European Union Law. 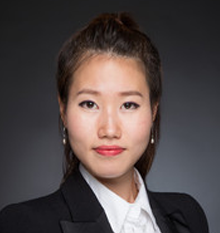 Minji Kwak joined IFPMA in April 2015. She coordinates the Access Accelerated initiative and liaises project partners and members. She holds a bachelor’s degree in International Languages and Cultures at Chiba University, Japan. Minji previously worked at the International Telecommunication Union (ITU) as an Account Assistant and has built her professional experience working for NGOs, international organizations and private companies in Japan and Switzerland. Sofie Melis joined IFPMA in September 2016 and leads its Ethics and Compliance portfolio, which includes the global implementation and management of the IFPMA Code of Practice and Ethics & Business Integrity Committee (eBIC). In her capacity, Sofie closely works with international stakeholders in building strategic partnerships that support public health goals worldwide. 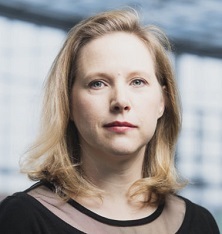 In the last 8 years of her career, Sofie has worked in corporate compliance for both Eli Lilly and Biogen Idec. Prior to that she held several roles in organisational learning & development in the banking, electronics and consulting industry. Just before joining the IFPMA, Sofie completed a one year assignment with the International Committee of the Red Cross as Head of HR Compliance. Sofie holds a master’s degree in Languages and Literature, a bachelor in HR Management, a post-master’s in Adult Education and a certificate in International Compliance and Ethics. 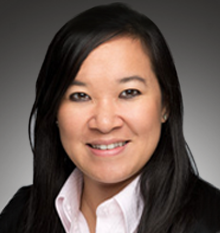 Mara Nakagawa-Harwood joined IFPMA in February 2017 as Manager for the global ‘Access Accelerated – Moving NCD Care Forward’ initiative. She has a wealth of international working experience with multistakeholders partnerships across sectors, HIV policy and advocacy and civil society engagement. Prior to joining IFPMA Mara served as Grant Coordinator for a multi-agency initiative with WHO, UNAIDS, UNFPA, UN WOMEN and the World Bank, at UNAIDS and as Liaison for the Fast Track Cities Initiative for the International Association of Providers of AIDS Care (IAPAC). Mara served in multiple capacities at the International AIDS Society (IAS), worked as an editor in the UK, as a journalist in Japan and as a trader for export-import companies in Brazil. Mara studied Letters (B.Litt.) at Faculty Ibero-Americana in Brazil and Master of Public Health with specialization in International Public Health (MPH) at University of Liverpool. 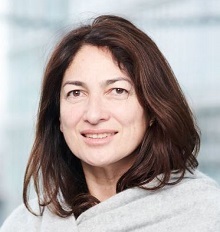 Gwendoline Navarro joined IFPMA in August 2018 as Administrative Officer for the global ‘Access Accelerated – Moving NCD Care Forward’ initiative. She assist in administrative functions and support for the all team. She holds a Swiss diploma in administration (CFC) and a Swiss maturity in languages. Gwendoline Navarro previously worked in a Fiduciary in Geneva as an Administrative Assistant and has built her professional experience working for international organizations in Switzerland. 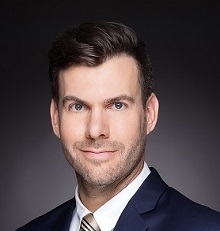 Stéphane PAPES joined IFPMA in February 2019 and is in charge of IFPMA overall Information technology. He oversees IFPMA servers and infrastructure and constantly work to identify opportunities to improve and update software and systems. Prior to joining IFPMA, Stéphane was already working closely with us for 10 years as an engineer at IconSa, a Geneva IT solution provider company. In his previous position, he built his professional experience working for various companies in various fields of activity, all around Geneva and Lausanne. He constantly followed Microsoft trainings on information systems and IT security. Vanessa joined the IFPMA in January 2015. She covers policy affairs in relations to the Global Health affairs. Vanessa holds a master’s degree in Development Studies from the London School of Economics and Political Science, and a bachelor’s degree in Economics from University College London. Prior to joining IFPMA, Vanessa worked at the Economist Intelligence Unit, where she was responsible for delivering economic, policy and business analysis and advisory services to clients across Europe, Middle East and Africa. Before that, Vanessa was a Senior Consultant at GHK Consulting, a public policy consultancy specializing in the evaluation of public projects and programs in the UK and Europe. Roxana Shakeri joined IFPMA in April 2017 to work as an administrative assistant and receptionist. She assists in administrative functions and meeting organization as well as she is in charge of reception at IFPMA. Roxana holds a Swiss Diploma in International Hotel Management from Hotel Institute Montreux, Switzerland. In the past 3 years, Roxana worked in the reservations department for hotel Le Richemond in Geneva and Hyatt Regency in London. Go Takahashi is Japan Liaison Executive at IFPMA since May 2017. 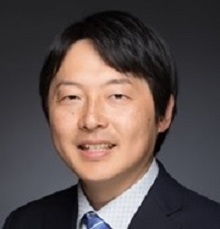 As member of the global health policy team, he facilitates coordination between the IFPMA and Japanese Pharmaceutical Manufacturers Association (JPMA) on policy decisions and global health partnerships. Go holds a PhD degree in pharmaceutical science. Prior to joining IFPMA, he has worked for SHIONOGI & CO., LTD for 11 years in Japan, most recently in its Business Development Department, Business Planning & Negotiation Group.